In preparation for our new baby girl's arrival, we moved C into her own "big girl" room. Once again, I got to decorate a room prior to having a baby, but this time it wasn't a nursery! Knowing we were going to have two girls, we decided C's room should definitely be girly. Someday they'll share that space and fill it with giggles, so it had to be lively and fun. 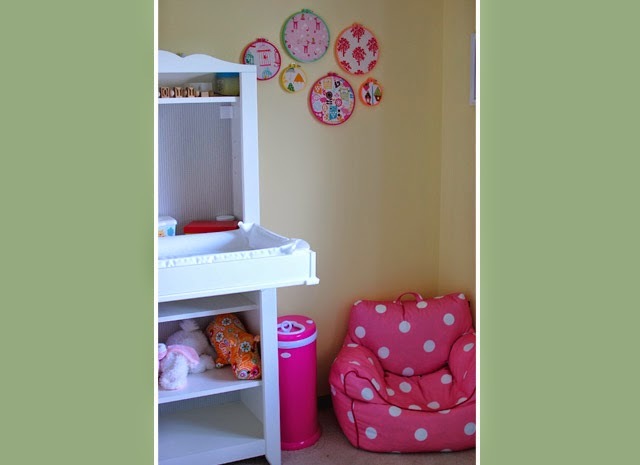 I decided to paint the walls yellow, a bright, neutral color, so we could play up bright colors throughout the room without being overwhelming. Initially I wanted the color scheme to be pink and orange, but after my husband shot down every bedding choice I suggested, I had to give it up. Turns out he doesn't like bright orange...only burnt orange...which is neither bright nor girly. 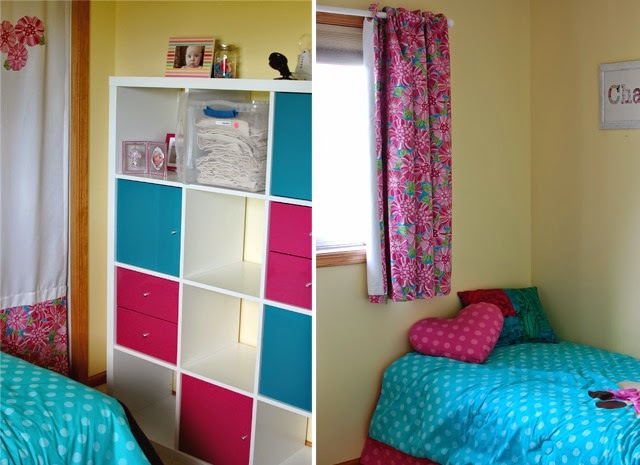 We eventually found a bedspread that we liked, went with the color scheme of pink and teal, and decorating continued. In the future, our girls will be in bunk beds, but until then C gets to own this space. And if she owns it, the room should bear her name, right? [When the girls are sharing, I'll make another one for O and their names can hang above their respective beds.] I wanted to bring in more of the fun fabric scraps that I used on the opposite side of the room, so I grabbed some tagboard, spray painted a Goodwill frame, and created her name wall art. 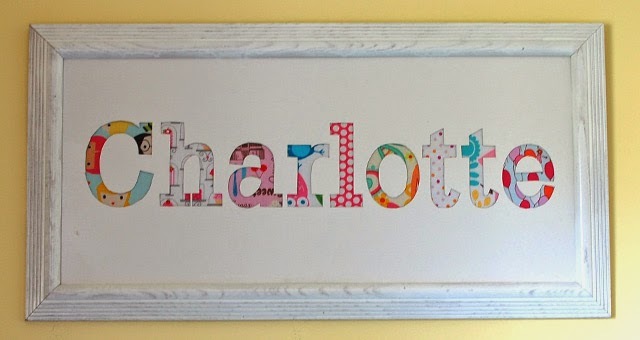 Step 1: Print out your child's name, position it on tagboard sized to fit your frame, tape in place, and cut out the letters. 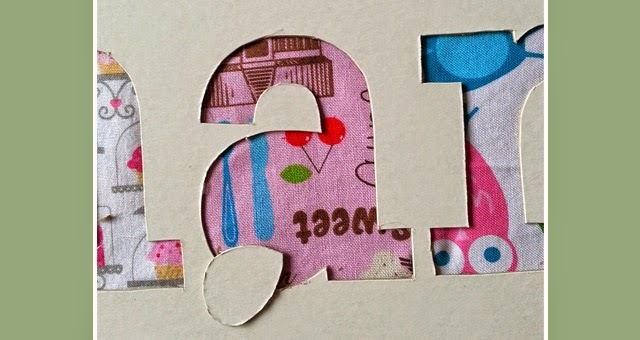 Step 2: Choose your scraps and tape them behind the individual letters. Step 3: Turn the whole thing over and check your work. 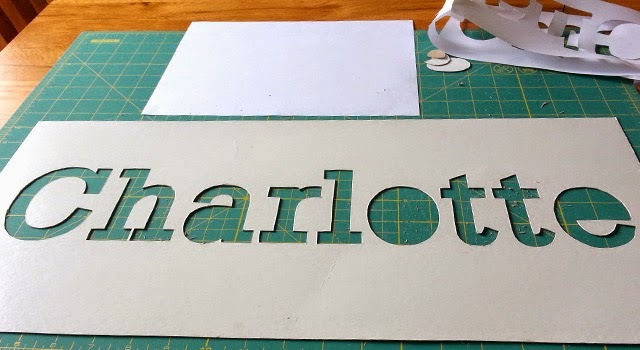 Step 4: Turn it over again and use a hot glue gun to secure the fabric, outlining each letter with glue. Work in small areas at a time; the glue dries fast! Trim the fabric once you're done. Step 5: Retrieve any missing counters for your letters and hot glue them in place. That's it! 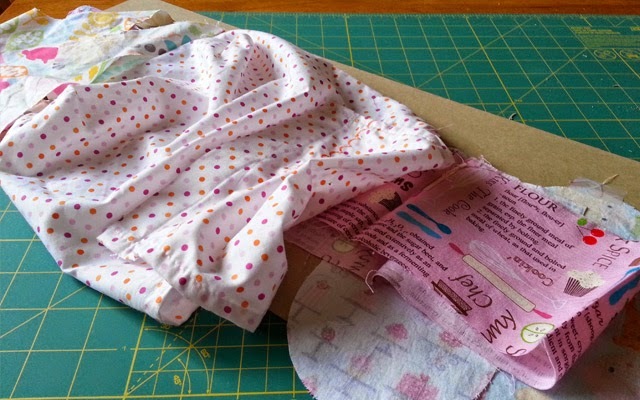 What other things have you done with fabric scraps?